BirdieOnly their fourth gig in over ten years, this is going to be very special. The chance to see Debsey Wykes and Paul Kelly on stage as Birdie doesn't come around very often. You can't miss this. Amor de DiasThe very first Amor de Dias gig with a rhythm section. No ordinary engine room at that: this one numbers Clientele alumni James Hornsey and Howard Monk. 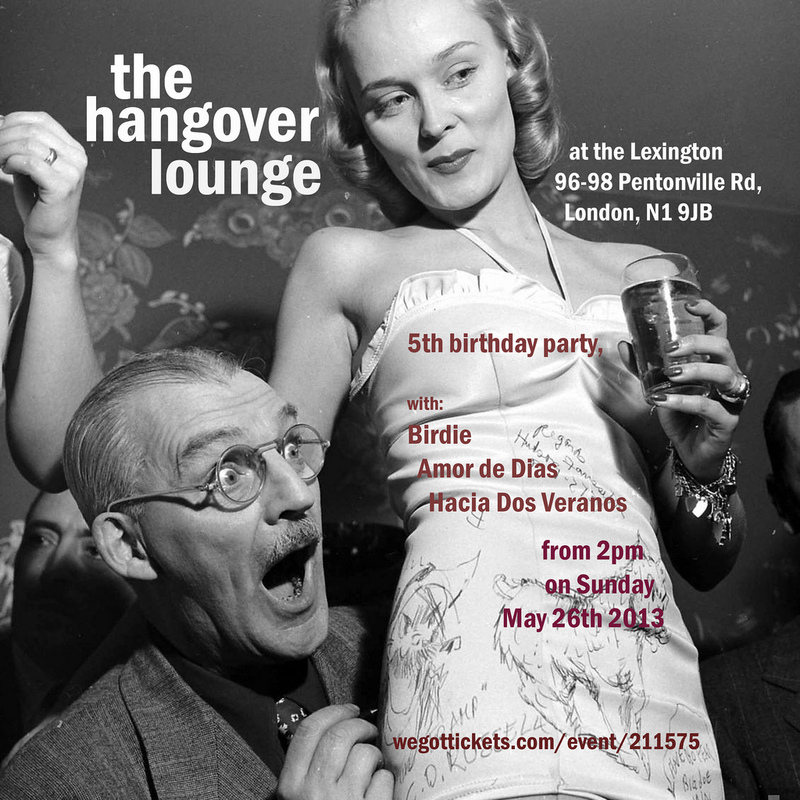 Not only that, this is Amor de Dias' only UK gig following the release of their wonderful second album, The House At Sea. Hacia Dos VeranosLimay is a masterpiece. Don't believe me? Amor de Dias' Alasdair MacLean said: "Their guitarist is a maestro: economical, precise, lyrical. His rolling, arpeggiated style will remind you of Felt’s Maurice Deebank or Vini Reilly, but he also possesses a faint echo of Johnny Marr, in that for all his sense of space and harmony he’s playing tunes first and foremost." Another blog reviewed your album, but in Spanish! Muchas gracias! Es una reseña muy bonita. La postié en facebook.